Welcome to the first installment of Weed Wednesday, where I’ll be posting weekly cannabis-related news as our state continues venturing into the unknown world of legal marijuana. Hopefully you’ve met some of our other regular blogs, like Food Blotter and Cat Friday, where we keep you updated on things between our weekly issues. This will be like those, but about pot. Have a tip or a question you want answered about how the new legal marijuana market will work in Washington (or is already working in Colorado)? Email me at heidig@inlander.com and I’ll do my best to find the answer and include it in a future posts. First, some housekeeping. As you can see, I’m using various terms for the plant here. In general, “cannabis” seems to be the most politically correct one and you’ll start seeing that more and more. Marijuana has roots in early-1900s racism and fear mongering, but has since become the most common term for most of us and is what is used in most Washington state and federal law. So, for now, we’ll continue using it too, especially when discussing legal issues. 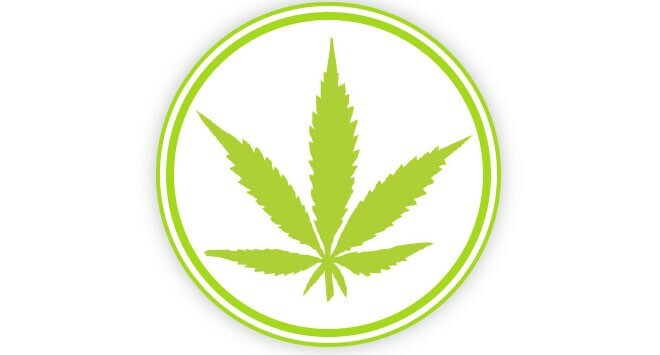 For our coverage of medical marijuana and Initiative 502 implementation, click here. Washington is forging ahead on creating its recreational marijuana market. So far, the state has issued 51 producer and processor licenses (12 in Spokane County), with some of those being crossovers to companies who want to both grow and process cannabis. The state Liquor Control Board has also begun the lottery process for hopeful retail store owners. Applicants have each been given a number and those with the lowest numbers will get the first chance to pass final inspections to get their licenses. Counties and cities will be limited in how many stores they’re allowed to have at first, so this will leave plenty of the more than 2,000 retail applicants out of luck. In Spokane County, commissioners have loosened their initial restrictions on where they’d allow marijuana grows, to the relief of many local advocates who’ve been arguing the county’s first pass at rules was too harsh. The rules are temporary, but are likely to be made permanent in coming months. Banking remains a serious issue for anyone in the cannabis business and the Spokesman reported today that Numerica, the state’s only bank that’s committed to taking marijuana money, will offer accounts to growers and processors, but not retailers. Meanwhile, stores in Colorado have been selling since January. (Check out The Cannabist for tons of Colorado pot news.) With the first steps completed, the fun is starting there. There’s AirTHC, which allows homeowners to rent out their marijuana-friendly homes or rooms and the soon-to-begin “Classically Cannabis” symphony series, which is a bring-your-own-cannabis event. There’s also been the debut of the pot vending machine and a debate in the state legislature about how to regulate edibles after some terrifying headlines there. Nationwide, there's been much made of a recent study about how marijuana affects the brain. Be careful with the oversimplification you’ll see out there. Much is still unknown and, as others have already pointed out, correlation does not equal causation. On the medical front, things are as hazy as ever. We wrote this week about a case coming to federal court in Spokane next week that highlights the ongoing contradictions between the way we in Washington see the drug and the way the feds do. And even in Washington, a recent court ruling upholding a ban on collective gardens in the city of Kent, calls the state’s entire medical market into question.